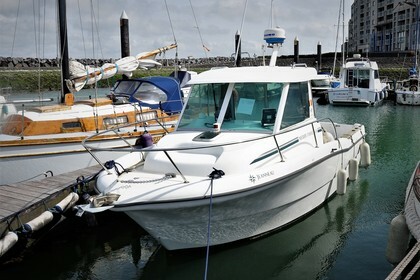 This Jeanneau Merry Fisher 635 is from 2005 and is now in winterstorage. The owner has replaced a lot of parts on the boat. It's in good overal condition. It has a 85 HP Nanni Diesel Engine. Inside you can sleep with 2 people. It's ideal for fishing. Contact us for more info.